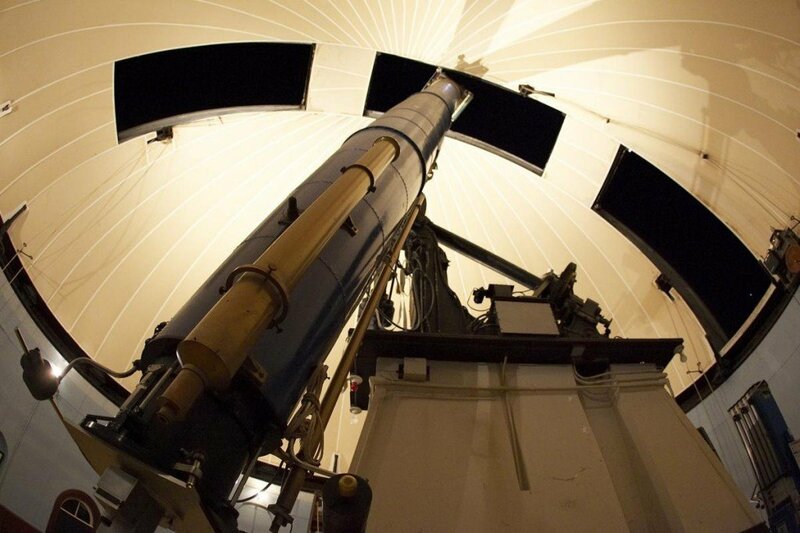 International Astronomy Day is on Saturday, April 21th and Charlottesville Astronomical Society is celebrating by conducting an Open House for general public at the UVA McCormick Observatory. From Noon to 5 pm there will be classroom presentations, Future Astronomer’s Activities for children and Solar Observing with telescopes outfitted with special filters for observing the Sun. From 8 pm to 10 pm, CAS members will open up the historic 26″ McCormick telescope and the two telescopes in the Doghouse Observatory for all attendees to observe astronomical delights!